Handmade Belts use traditional techniques to make individual belts and dog collars from the finest English bridle leathers. In addition to our wide range of belt styles, we produce dog collars and leads and will happily quote for commissions for other items. We offer belts in a range of widths and can make belts to your precise requirements. Whether it is a belt for your suit, a trendy jeans belt or indeed a Santa Claus belt for Christmas, we can make it for you! No machines are used in our workshop, each leather belt is hand made and finished to the highest standard using traditional saddler's double hand stitching and English bridle leather. Each belt is made and personalised for each customer. No stock is held of ready-made belts. 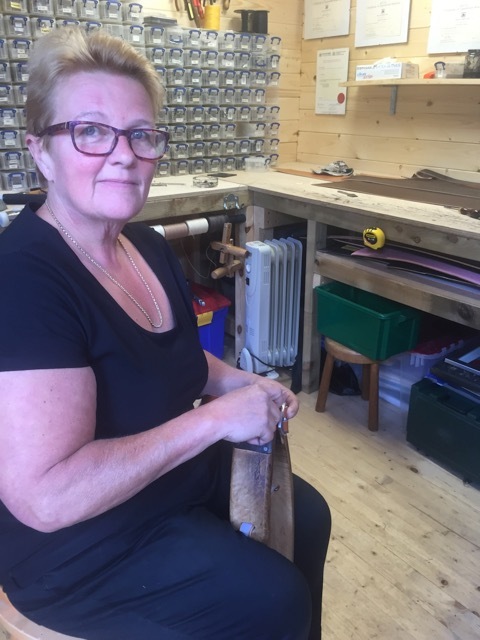 Gill has been belt making for over 25 years and takes pride in personally hand cutting, staining, edging and stitching each item. 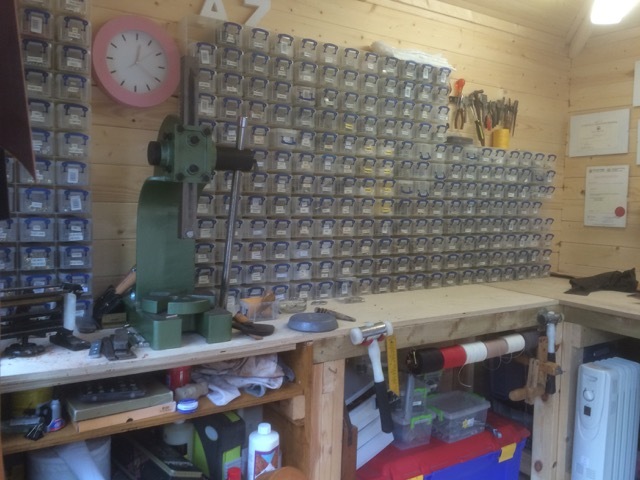 She has been very proud to be asked to make belts for the Renault Formula 1 Racing Team, Belts for The Big Brother House, Bennetts, Richard Andersons of Savile Row, and many many more! "I still find leatherwork most rewarding, I have been asked for some amazing commissions. I was delighted when I made massive belts for House of Frazer, they actually hang the huge mirrors in their store in Scotland. I get unusual requests on occasion, but really love working on items for the restoration of classic cars, historical replicas and renovations. Anything from antique prams straps, luggage straps and the like, are all part of the challenge. We always keep busy at Christmas! Making Santa Claus belts (its amazing how many he needs! ), and leather work for his helpers! We imported some fabulous Santa Claus buckles made by Eileen Strom. They are gold plated and look amazing. 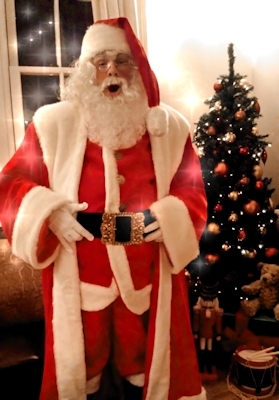 Father Christmas is always delighted when we supply him with a new belt"
Handmade belts specialise in offering a range of belts that are available in sizes up to 60" in length. Most of our customers return time and time again as we are able to supply in such a wide range of sizes. XXXL belts are hard to find.